Welcome to TimeFracture! Index Page. Here are some of my more elaborate hobby projects. My ultimate objective is to include enough detail to allow sufficiently-motivated hobbyists to duplicate them. I have also included extensive FAQs and general design notes, which I hope will be useful to hobbyists working on their own designs. Should you have questions or comments concerning anything on this site, please E-mail me at john.doran@timefracture.org. Click on pictures to get larger/higher-quality images. This is a general-purpose 16-bit processor designed and built from scratch! It is fabricated from HCMOS MSI and SSI integrated circuits using wire-wrapped construction, and is packaged in a rack-mount chassis. 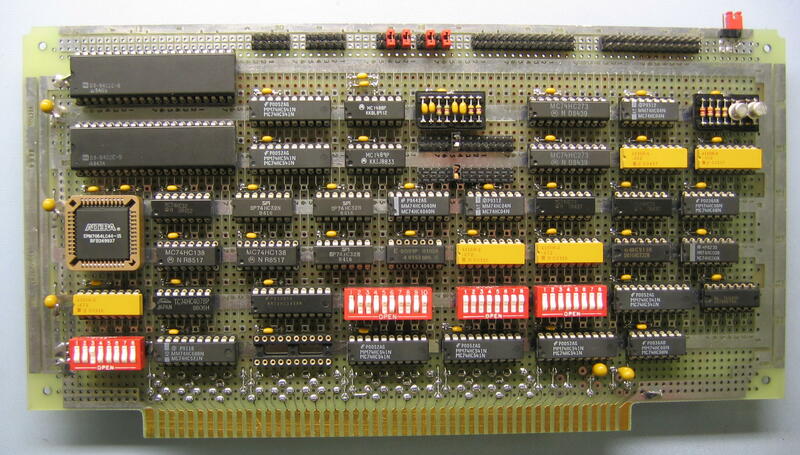 It has a full front panel ("programmer's console") and a plug-in bus for peripheral interfaces and memory. 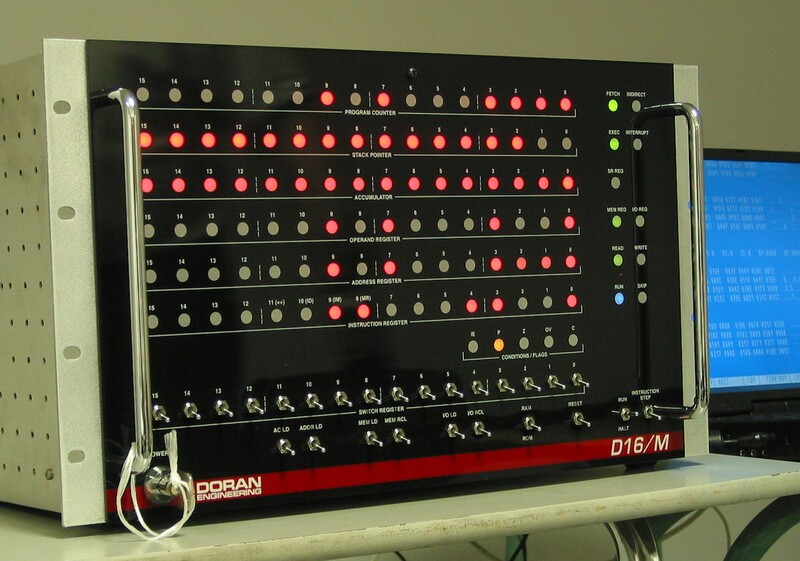 I have documented all of the D16/M peripherals (such as this Serial/Parallel I/O Module) on a separate page. 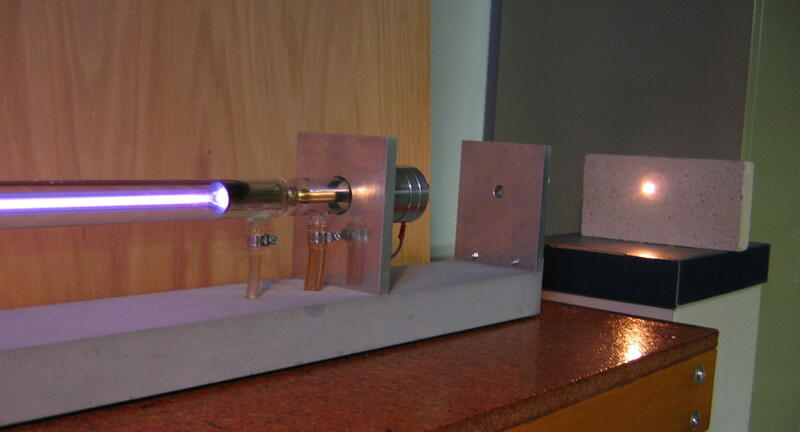 This electrically-excited flowing-gas laser produces an output of over 25 watts, at 10.6 micrometers in the far infrared. 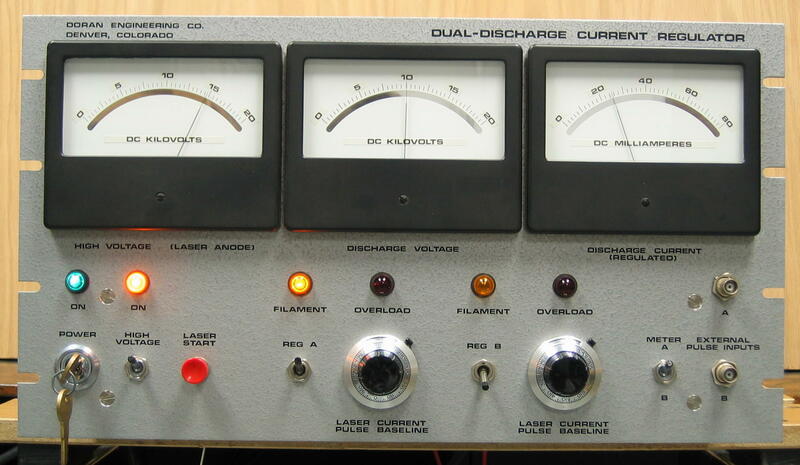 This active current source drives gas laser tubes, such as the CO2 laser above, without wasting power in inefficient ballast resistors. It permits rock-stable adjustment of the discharge current with the twist of a calibrated knob! 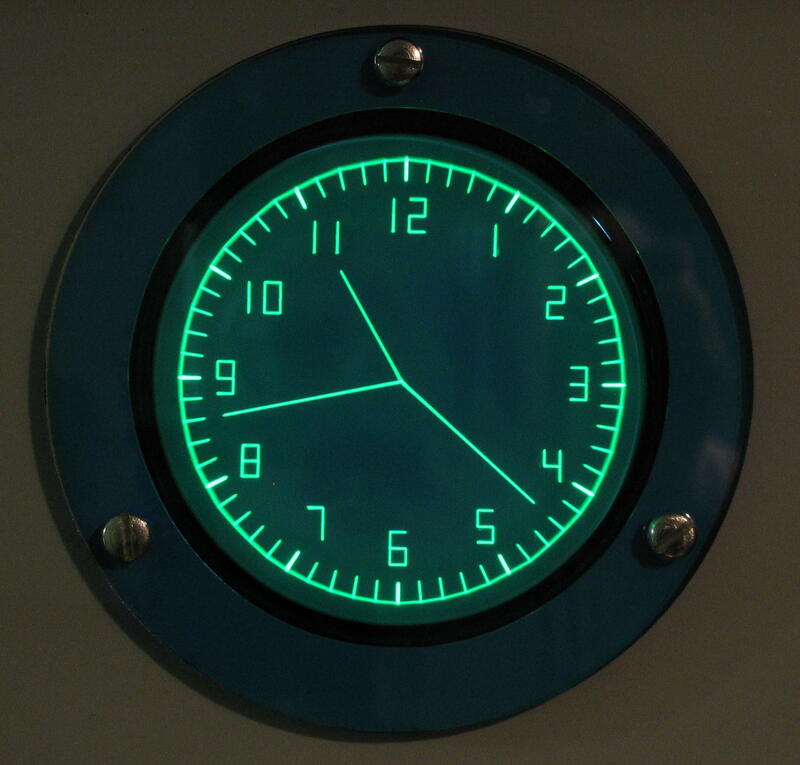 Here is an electronic clock having an "analogue-style" clock-face presentation. 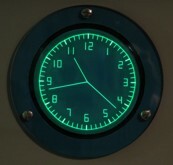 It displays the time with vector graphics drawn on a small electrostatic-deflection "scope tube" CRT. The chance re-discovery of a favorite childhood book rekindled my interest in this oldest of electronic hobbies. 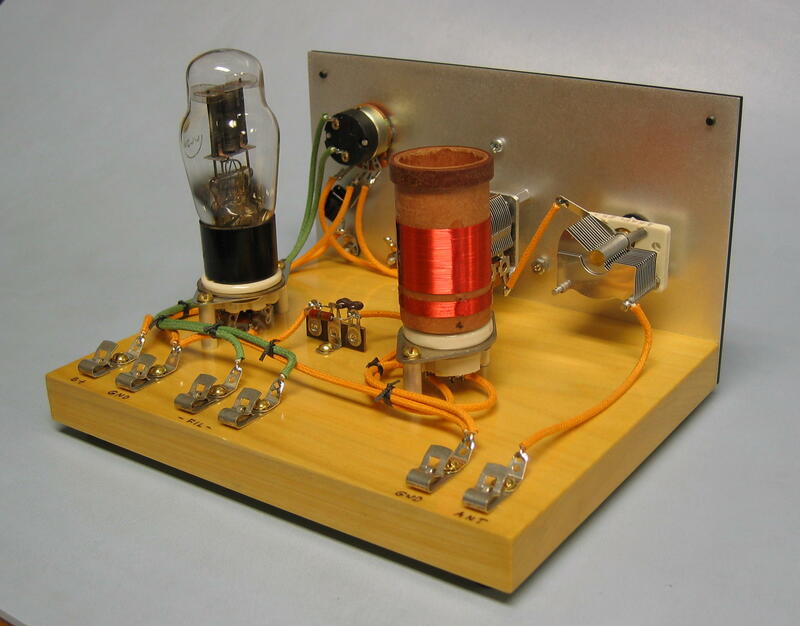 Here are some projects adapted from the book, along with a useful "battery eliminator" power supply for old time radio experimenting. Information on the new TimeFracture Laboratory to follow! 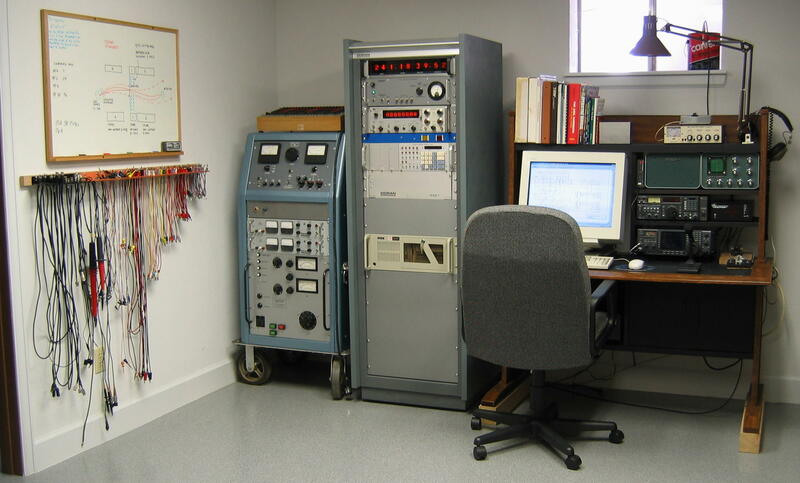 Here are links to some other interesting technical hobby Web sites. Disclaimer: I have made a significant effort to ensure accuracy, but I cannot warrant that the information on this site is totally free from errors! Should you encounter any difficulties, I shall be happy to help resolve them. Warning: Some of these projects are potentially hazardous. I expect anyone attempting them to excercise proper judgment, and to take reasonable safety precautions.